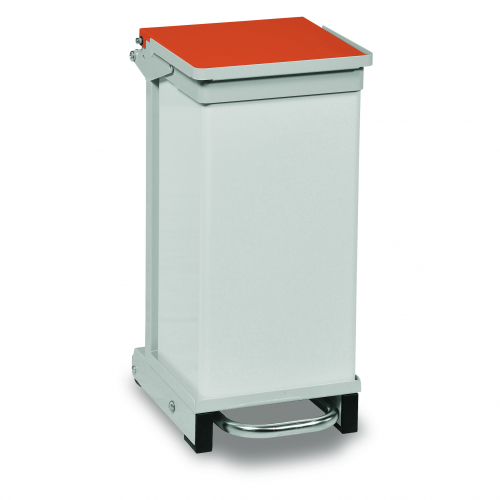 Our 20 Litre Handsfree Removable Body Bin is constructed from hard-wearing and fire-retardant steel that is painted to offer extra durability. The handsfree design has a recessed lid to help encourage the use of the pedal as opposed to opening by hand, helping to diminish the spread of bacteria and results in higher levels of cleanliness. The silent option has a gas damper fitted to reduce the level of noise when the lid is closing, ideal for quiet environments. The bin has a positive bag retention and a captive drip tray to catch any leakages and reduce mess. 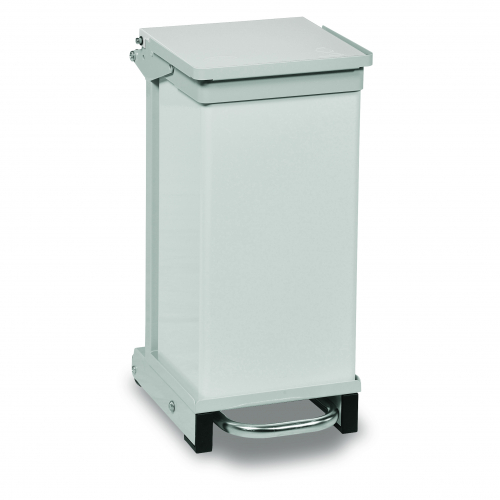 The wheels at the rear of the bin enable it to be easily moved, allowing for effortless manoeuvrability when transporting waste or cleaning the bin. The plastic feet keep the steel frame off the floor to prevent marks and scratches.